When Kerry Brown found himself sharing a stage at a sustainability conference with the likes of Robert Kennedy, Jr., and the director of sustainability for Coca-Cola, he realized just how much of an impact small businesses can have on the environment. Curtis Packaging, a folding carton converter in Sandy Hook, Conn., has always been at the forefront of sustainability in packaging, and has now made it part of its mission to help other companies boost their environmental initiatives while saving money. He says that Curtis now recovers $35,000 per month via recycling and has reached 100% landfill-free status and recycles approximately 96% to 98% of its materials. In addition to its recycling initiatives, Brown explains that Curtis Packaging has also been ambitious in improving the sustainability of its operations. 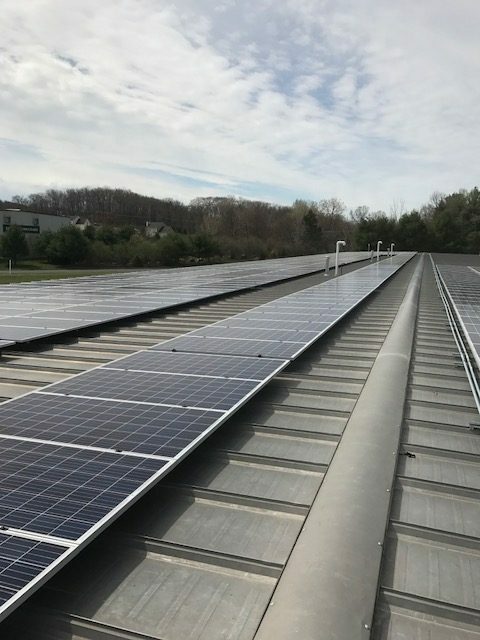 In conjunction with the Connecticut Green Bank, Curtis Packaging recently completed a $2.5 million project that included natural gas conversion, energy efficient HVAC and lighting systems, and a solar array. Part of Curtis Packaging’s goal to help a variety of industries improve their sustainability has resulted in a partnership with the nearby Yale School of Forestry. Brown explains that every year, the company proposes a project to the school, and one or two students then work with Curtis to accomplish it. The central aspects of the partnership, Brown says, are for it to benefit the students, the school and the company, and so far it’s been able to do all three. The students, he says, benefit from advancing their professional development, the school benefits because the students teach their peers about what they learned from the project, and Curtis Packaging benefits from the help it receives for its sustainability initiatives.